One of my *favorite* parts about blogging is all of the amazing creativity out there! I’m so excited to see what everyone shares! Plus, since I’m co-hosting this link party, everything you share here will also be shared over at The Thriftiness Miss. Hi Shatzi! Thanks for co-hosting. I’m linked up and I hope you have a great weekend. Thanks so much for hosting! New follower! Thanks for hosting, Shatzi!!! I hope you have a wonderful weekend!! 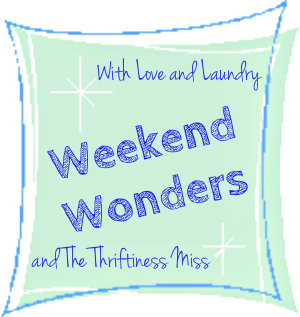 I’m so glad to be linking here again this week…have a wonderful weekend! How’s your brother settling into Korea? Thanks for co-hosting the link party! Thanks for co hosting this! Have a great weekend.